It has been day 10 since the tragic event brought about by the most forceful typhoon ever to make landfall this year in the Philippines (and the world for that matter), and still the Philippine government's rescue, recovery and relief operations in the affected areas in the Visayas are still in their infancy. 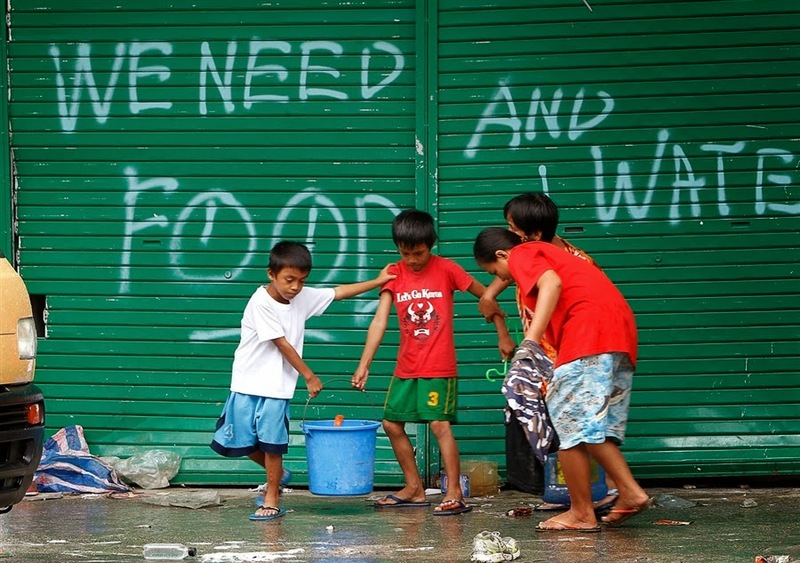 If not for foreign aid and the private sector, the Yolanda victims would be akin to zombies now. There are those who are offended by the seemingly endless gripes and negativity of netizens regarding the government’s response to “Yolanda”. I get the point. It’s not nice to “bash” even your worst enemy. However, when we are talking about the safety, relief and eventual rehabilitation of disrupted lives, I think I’ll take on Peque Gallaga’s side this time. Of course I stand united with the Filipino people regarding “Yolanda”. I and the rest of my family are doing what we can to aid the victims of Yolanda, but that doesn’t mean that I’ll just close my eyes on the incompetence and inefficiency of the leaders of the community. My gripe is not (primarily) on the seemingly snail-pace deployment of relief but more on the apparently non-existent contingency plan of the government in dealing with the aftermath of a disastrous event. What have these cabinet members been doing? Probably grand-staging behind their desks on a daily basis. Feeling important attending meetings and other behind-the-desk activities. Busy with their calculators in estimating their mid-year and year-end bonuses. Siphoning off money from the Filipino people to support their (and their family’s and cohort’s) grand lifestyle. Formulating the chain of commands in the event of an emergency situation but forgetting to create a plausible and practical system to deal with the problem. It’s like telling your child to cook a meal but failing to give him the proper training and instruction on cooking that meal. The Filipinos have short-term memory. Look! Impeached Ex-President Erap is mayor of Manila! The wife, son and daughter of Pres. Marcos are elected officials! Filipinos are highly sentimental. Look! BS Aquino is president, thanks to his famous parents! Bong Revilla (and his wife, son, brother and sister), Tito Sotto are public officials just because they are famous actors. We have spoiled our elected officials by us Filipinos rallying to compensate for their shortcomings. It has always been like that. We have been patient and tolerant of our elected officials for the longest time that we have helped mold them into what they are today - corrupt, incompetent, inefficient, indolent, dishonest and arrogant. Does a “united” nation in times of plenty and distress equate to a nation where inapt public officials get away with almost everything? Just because you chose to elect an ineffectual fool (better yet, fools as the distinction is not exclusive to one person), you expect the rest of the Filipinos to just bear and grin, then compensate for the lack? Do we say thank you Korina for your donation of blue and yellow slippers with your name stamped on it? Thank you Jejomar Binay for your packs of goodies with your face and name stamped on each bag. I personally see no harm with the wave of criticism hitting the government. I think these clamors are like fuses propelling the government’s snail-paced operations into speed. Hopefully, the din of criticism will also push the government into action in formulating an effective rescue, relief and rehabilitation system for our country. What? We are just a poor country and have no means for such? President BS Aquino’s PDAF alone is in the trillions! I don’t even know how many zeros there are in a trillion. When the DILG top honcho announce to the world (via television) that it is not the Philippine government’s top priority to look for possible survivors of “Yolanda”… what do we do?